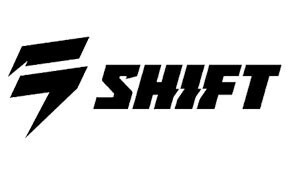 Get in your racing glory with Shift 2014 Strike Glory pants! Shift Strike Glory pants' 600-denier main body construction provides durability, and their leather inner knee panels offer abrasion and heat resistance. Multiple stretch zones ensure mobility and a contoured fit, and the articulated design in the waist and knees conforms to you while you're in the riding position. They're topped off with natural cuffs that provide extra comfort when tucked into your boots. Shift Racing 2014 Strike Glory pants look as great as they fit, too--awesome graphics and bold colors are perfect for the confident competitor!